Christina Martinez was born into generational poverty. Her father was absent from her life and overdosed two months after she first met him—she was just 18. Alcohol and drugs were a part of her family and were rampant in her community. In 8th grade, she began experimenting with alcohol and marijuana. By 15, she had moved on to harder drugs, started dating, and felt like she had met the love of her life. They broke up when she was 18, throwing her into a terrible depression. She turned more heavily to alcohol and drugs, and everything spiraled out of control. She went to rehab at 19. Christina had high hopes when she came out of rehab, and she was committed to staying clean. She reunited with her boyfriend but soon drifted back to old habits. At 21 she became pregnant with twins, giving her a reason to fight for her recovery. She managed to stay clean while she was pregnant, but three months after having the babies, she got into a domestic altercation, crushing her elbow. She was given opiates after the surgery and quickly relapsed. She began a cycle of going to rehab, getting clean, and then relapsing again. She tried to be a good mother, but the girls’ father took full custody of the children. Christina had been in jail 10 times and in rehab 11 times. She found out she was pregnant again and had her daughter during her 11th stay in jail. The thought of losing another child was more than she could bear. Christiana committed to fighting for her recovery. When Christina got out of prison, she began working with Office of Vocational Rehabilitation (OVR) to find a way to support her small family. As she prepared for part-time work and going to school through OVR, Christina was referred to SCCAP’s Child Care Information Services for assistance with child care. Marci Place was her caseworker. Christina used benefits to stabilize her family while she worked to build a better future. She had to learn to pay bills and establish healthy habits. She worked, went to school, and was a good mother. In 2016, she received her bachelor’s degree in psychology. 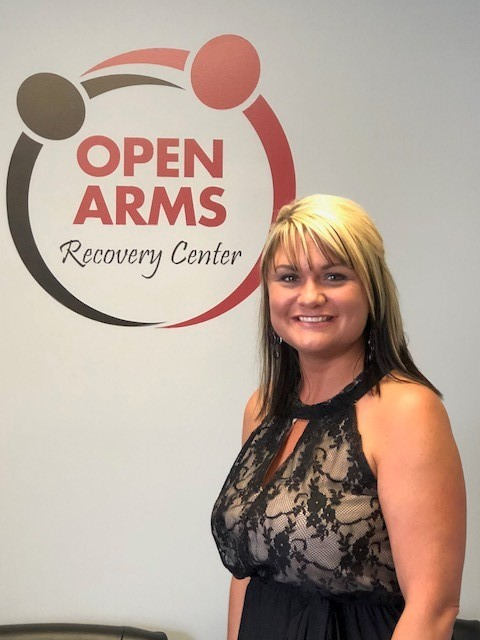 Soon after graduation, she and a friend and colleague opened an outpatient substance abuse facility in Hanover, PA. She is currently pursuing her master’s degree and is using her difficult past to help others to see that they can have a different life. Today Christina’s passion is to help young women, pregnant women, and women with children to achieve fulfillment in life without abusing drugs and alcohol or feeling like they have to stay in an abusive relationship. Today she provides hope that life can be so much better!